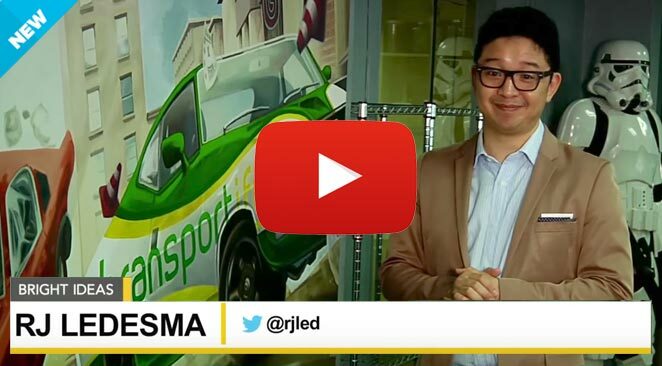 Bloomberg takes a closer look how Transportify is a game changer for Filipino businesses. 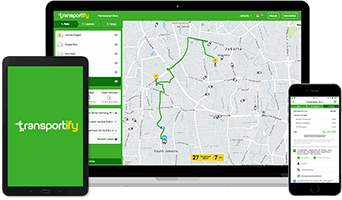 Transportify is a mobile and web app that allows you to book and manage pickups and deliveries of almost anything. Our marketplace connects businesses and individuals with qualified drivers and their vehicles to provide affordable courier services according to our high-quality standards. Transportify's marketplace-driven pickup and delivery network are built on an advanced yet easy-to-use online delivery app that differentiates us from any traditional delivery company in the Philippines and throughout Southeast Asia. Whether our clients need access to a shipping service courier, fast courier, door to door delivery or third-party delivery support in the Philippines, Transportify is there with the right tools to get the job done. We connect our clients to many of the most reliable immediate delivery companies in their area, ensuring that they can get their packages delivered in the shortest possible time. Our app also provides options for same day package transport, express parcel delivery, and moving services in selected areas within the Philippines. Transportify truck, L300, closed van, and economy vehicle delivery options are also available. Welcome to Transportify, your one stop for all of your logistics and delivery requirements throughout the Philippines. Transportify is a mobile and web app that allows you to book and manage pickups and deliveries of almost anything. Our marketplace connects businesses and individuals with qualified drivers and their vehicles to provide affordable courier services according to our high-quality standards. Transportify's marketplace-driven pickup and delivery network is built on an advanced yet easy-to- use online delivery app that differentiates us from any traditional delivery company in the Philippines and throughout Southeast Asia. Whether our clients need access to a shipping service courier, fast courier, door to door delivery or third-party delivery support in the Philippines, Transportify is there with the right tools to get the job done. We connect our clients to many of the most reliable immediate delivery companies in their area, ensuring that they can get their packages delivered in the shortest possible time. Our app also provides options for same day package transport, express parcel delivery, and moving services in selected areas within the Philippines. Transportify truck, L300, closed van, and economy vehicle delivery options are also available. Introducing such an exceptional, accessible and easy-to-use delivery service in the Philippines was long overdue, and we have since taken the country by storm. This is due to their being an outcry for a simple and easy delivery service. All you need to do is simply download our FREE app in either the Google or Apple store, or alternatively log in to our web app via your internet browser. Any individual is welcome to use our service, though we also offer an easy-to-enrol business partnership programme which is designed for entrepreneurs and business owners alike to have access to the most advanced delivery service in South-East Asia. We can offer an express delivery service because we have a host of qualified, independent drivers that are on hand, waiting for their next delivery. Once you’ve placed your order through our easy-to-use application, you will then be paired with the closest, relevant driver to your location. This fast and effective delivery mobile app will also give you access to a live map, indicating exactly where your designated driver is at all times. Once they’ve successfully picked up your package, they will then forward it onto the desired location. Whilst being able to track this order in real-time, you will also be able to speak directly with your driver using the in-app chat function. Or alternatively, you’re more than welcome to call us on our 24/7 customer service number where one of our friendly and professional advisors will be able to assist you. No delivery service in Manilla has ever been so effective as Transportify. The benefits of being able to track your order with our in-app updates allows you the perfect opportunity to keep your clients updated with an accurate report as to when they can expect their order to arrive. This in turn, allows you to offer your clients a more advanced and effective level of service, creating a closer business relationship and strengthening that bond between you. No longer do you have to worry about missing deadlines or unexpected delays. Transportify offers cheap courier services in the Philippines that you can wholeheartedly rely on. As far as logistics companies in the Philippines go, we offer one of the most competitively priced courier services. This coupled with the fact that our service is incredibly easy to use and can afford you same-day delivery without a fuss, is what separates us from the rest of our competition. We have raised the bar to an all new level which has shaken the industry up for the better. Whether its food delivery services, a handy movers app or flower delivery in the Philippines; Transportify is the logistics company for you. Simply put, if you’re looking for the most effective, affordable and easy-to-use delivery service in the Phillipines, - you have arrived at your destination!